Getting arrested and charged with a driving under the influence charge can be life-changing. Now, you might be wondering what you’re going to do and how court is going to go for you. You might be thinking about attending your court date and just pleading guilty to the charge, but you should know that this probably isn’t your best choice. Instead, you should know that it’s smart to hire a lawyer to fight your DUI charges. These are a few reasons why. Many people don’t realize just how serious a DUI conviction can be. If you’re looking at it like it’s just a bad traffic ticket, you should realize that it’s so much more than that. Getting convicted of a DUI can cause you to lose your driver’s license. Even when you get your license back, you can count on paying much higher insurance premiums. Plus, having a DUI conviction on your record can get in the way of you getting a job or renting an apartment. You may have to pay a lot of money in fees and fines, you could have to serve community service, you might have to be put on probation, and you could even face a loss of freedom. Going to court and feeling as if you are “on the chopping block,” so to speak, can be terrifying and overwhelming. You don’t have to go through this on your own. Instead, you are sure to feel a lot better knowing that you have someone with you who is on your side. 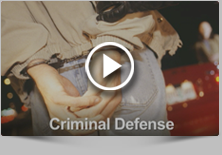 Skilled attorneys use various defenses to help their clients fight these charges. Every case is different, but you might be surprised by what a good lawyer can do for you when you go to court. As you can see, hiring an attorney to help you with your DUI case is probably your best move. If you are looking for legal representation to help you with your case, contact us at Fiore & Barber, LLC at 215-256-0205 today. With the holiday season quickly approaching, it is a good time to start planning ahead so that you avoid getting a Thanksgiving DUI. Below are some Pennsylvania DUI statistics and information that will hopefully help keep you from getting behind the wheel after drinking this Thanksgiving and holiday season. A man was charged on March 24, 2015 with driving while under the influence and resisting arrest. This occurred just 20 minutes after police gave him a ride home from a borough bar. Police thought he was too intoxicated to drive, so they offered him a curtesy ride home.